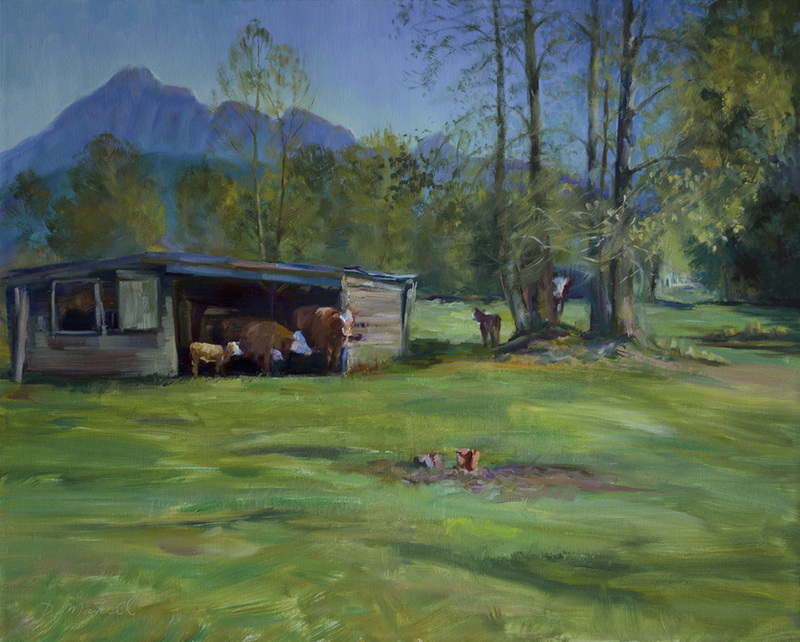 This studio painting was based on plein air pieces which I did on site. Burns Road has turned into a busy thoroughfare on a still narrow country road. My favourite kind of places to paint but not here with many people stopping to say hello I felt I was creating a dangerous situation for all of us. I wasn't sure if the calves were still this small in the fall as the cows were not to be seen that day but from photos I took earlier in the year.